The Trios® 3Shape allows Dr. Field to get high-quality, color, digital impressions for use in making dental restorations, such as crowns and bridges. Dr. Field uses the latest technology to ensure that our patients get the highest-quality and most comfortable dental care. Combining state-of-the-art technology with excellent training and experience, we are able to offer gentle and minimally invasive treatment. We take impressions using a modern, 3D digital scanner for faster, more comfortable and more accurate impressions. Thanks to this advanced technology, there is no more need for uncomfortable impressions done the “old” way using sticky impression material. Digital impressions are distortion-free, allowing for your new teeth to be precisely crafted for a perfect fit. The digital scanner emits no radiation. In cases where implants will be used to replace multiple teeth, Dr. Field will arrange for you to get a 3D CT scan of your mouth using a dental cone beam CT scanner. 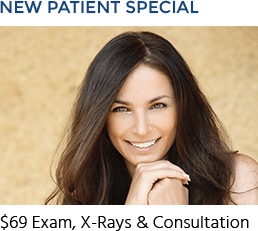 The scan will provide detailed, 360-degree images of your mouth, skull and jaws, and will be used by Dr. Field for precise diagnosis and treatment planning. Our advanced, computerized Tekscan bite analysis system is more accurate than traditional systems of bite analysis where the patient bites down on special paper. Tekscan charts not only the way the bite comes together, but also the sequence of teeth closing and the intensity of the bite. Dr. Field will meticulously design your treatment to ensure you will have optimal bite forces and bite contact when your final new teeth are placed. Digital X-rays emit 80 percent less radiation than traditional film X-rays, making them a much safer option. The images obtained are crisp and can be viewed immediately by the doctor and patient. We use advanced X-ray technology to capture a broad, panoramic view of all teeth and the entire jaw for diagnosis and treatment planning. Our state-of-the-art digital panoramic X-ray machine emits far less radiation than traditional X-rays. As part of his exam procedure, Dr. Field will use an intraoral camera to educate you on what is going on inside your mouth. The intraoral camera takes high-quality photos which he uses for diagnosis. Dr. Field uses a special digital camera with interchangeable lenses adapted for dental photography. The photos are used for smile analysis, patient education and to send to the lab for precise shade-matching. 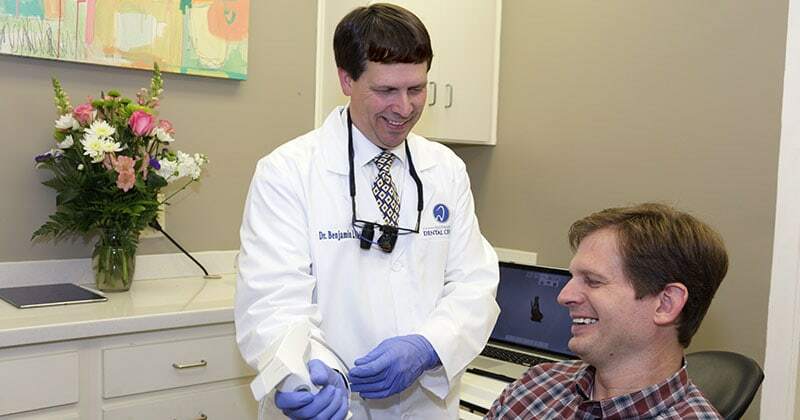 Dr. Field uses a state-of-the-art dental laser for soft-tissue procedures such as removing a very small amount of gum tissue before taking an impression, removing oral ulcers in the mouth and removing excess gum tissue around braces. Dr. Field may use an air abrasion unit to gently roughen the surface of your tooth in preparation for a dental restoration such as a crown or veneer. He also occasionally repairs or salvages a restoration by roughening its surface before applying repair material. Air abrasion is minimally invasive and can sometimes be used in place of a handpiece (dental drill). It usually does not require anesthesia. Scaling is the process of removing hardened calculus, plaque and bacteria from the teeth. Ultrasonic scalers have a high-frequency, vibrating tip that effectively removes calculus deposits which can trap food particles and stains. Ultrasonic scalers also clean the teeth by creating shock waves that disrupt and kill harmful bacteria, while a stream of water gently washes away all debris. Ultrasonic scalers are gentler than traditional hand scaling tools, and are more comfortable for patients. 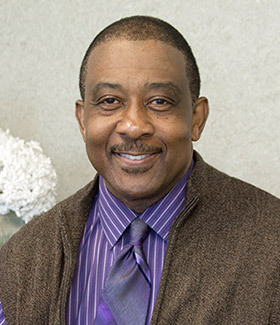 Dr. Field takes great care to provide you with very precise and accurate treatment. For this reason, he uses high-magnification surgical loupes with bright, L.E.D. illumination that only emits a low amount of heat. 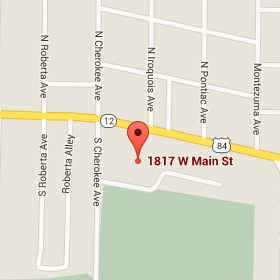 This provides him with a greatly magnified, crisp and detailed view of your teeth and mouth. The Isolite is a special, multifunctional device with a built-in L.E.D. light for illuminating the entire inside of the mouth, removing all shadows. It effectively isolates the area being treated and prevents contamination and obstruction during treatment. It is comfortable for patients, and Dr. Field uses it for many types of procedures. Dr. Field uses an advanced, minimally invasive dental tool called DIAGNOdent to locate small cavities hidden beneath a tooth’s surface. The safe, gentle laser “pen” identifies decay in its earliest stages, allowing the doctor to treat cavities early and prevent further decay. The SonicFill cavity filling system allows Dr. Field to fill a cavity quickly and effectively using tooth-colored dental composite. The SonicFill device emits sound waves that change the viscosity of the composite paste, making it more fluid. This allows the paste to completely fill all the tiny crevices and spaces that are part of the cavity. When the sound waves are turned off, the paste returns to a more viscous state, allowing for the surface of the filling to be molded into its final shape. 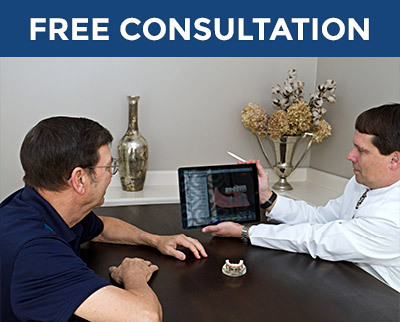 Using the SonicFill system, Dr. Field can fill a cavity in less than three minutes. Dr. Field uses a modern electric handpiece to provide you with faster, more precise and efficient treatment. 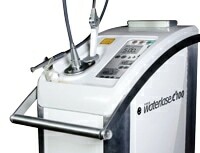 Electric handpieces are much quieter and provide greater patient comfort than traditional drills. Dr. Field uses The Wand for maximum effectiveness and comfort. This is a computer-controlled anesthetic delivery system which controls the flow of anesthetic so that it is comfortable and adequate. Our computerized shade-matching tool is twice as accurate as visual attempts to match shades. When the small, hand-held device is held next to your tooth, it measures the shade characteristics of your tooth electronically, under controlled, ideal lighting, and displays the result on a screen. This enables the doctor to make the best possible color match for your new teeth. We have our own high-tech equipment for making various types of dental appliances right in our office. Dr. Field uses the MiniSTAR machine to fabricate precise, well-fitting items such as night guards, mouthguards, temporary replacement teeth and dental restorations (such as crowns and veneers), thus eliminating the need to use a lab in these instances.